The Wandering Arborist: I'm Stubbed. 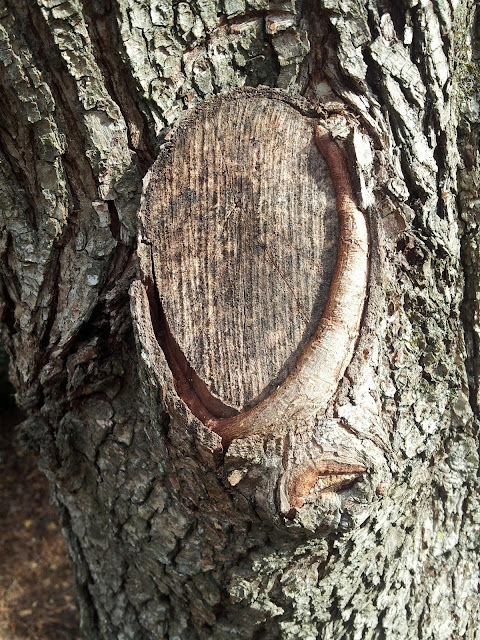 I've seen a rash of poorly pruned trees lately, and I think the picture below enforces why we should prune trees at the branch collar. See the lower part of the branch forming callus tissue. This area is the remaining natural branch collar. The rest of the cut is well outside of the collar, forming a stub. You see how the tree has been unable to form reaction growth around this area. This now leaves an entrance for pathogens, and may cause harm to the tree. It also doesn't look very good. Sometimes it isn't easy to get that final cut right, but its well worth your time. Happy pruning out there.